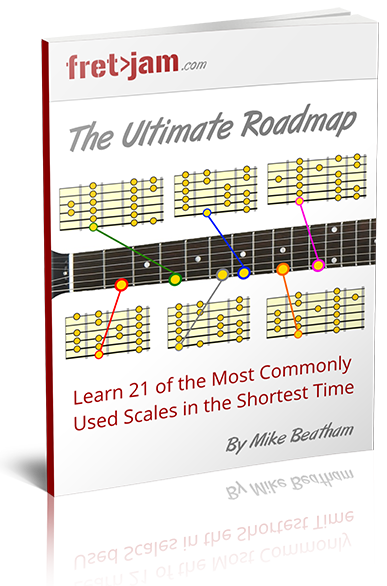 Are you stuck in the same old chord/scale rut and want to dramatically broaden your musical palette? Do you struggle to make a meaningful connection between the backing music and what you play over it? 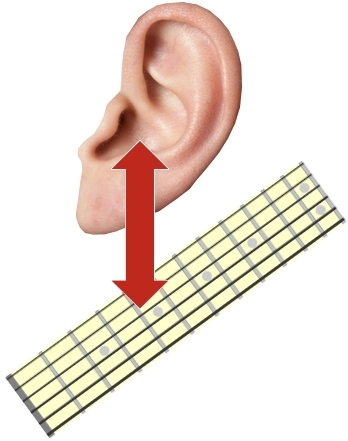 Do you know a little music theory, but can't seem to string it all together into one big picture of the fretboard? As musicians, it's important to keep our creative options open. But those options can be overwhelmed by not seeing how everything fits together. We live in a world of "chord players" and "lead players". But in reality, these two elements - harmony and melody - come from the same musical place. Once you see and hear the intrinsic connection between these two elements, the whole fretboard opens up in front of you. What was once an overwhelming jumble of notes becomes a clear musical roadmap with various destination points. You begin to see and hear music as a mixture of related colours and tones, whether harmonic or melodic. Your ears become responsive to the subtle nuances of music and your creative intuition can truly take over. 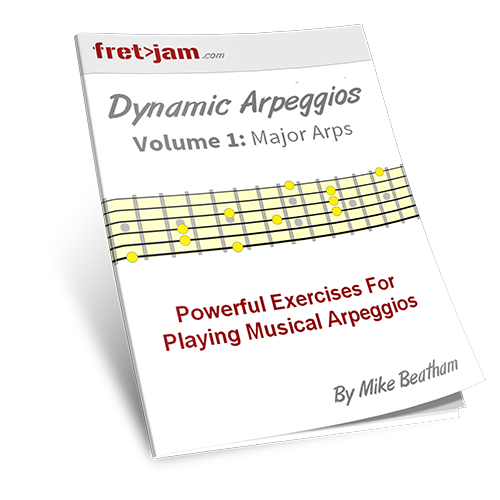 This course is the culmination of the above process - on one level, making the connection between chords, arpeggios and scales. But more than that, seeing the big picture that makes music work. We have to start somewhere. We have to walk before we can run! The purpose of this course is to lay the foundations you need for accompanying music, whether improvising or jamming in a band or writing a lead part for your own song. The most logical place to begin is to study how notes relate to one another, both by ear and eye. That means learning to relate what you hear to what you see on the fretboard (and vice versa). For example, a triad is made up of three musical elements. It's the basis of the "major sound" and "minor sound" in music. We first lay the foundations - the triadic roadmaps - allowing us to play both major and minor fluidly across the neck (not just in those same old open/barre chord positions). I show you how to break these patterns down so you can finally see them clearly and approach them in different ways. We then move on to sevenths, building up our harmonic and melodic options. We learn what really creates the distinction between major 7th, dominant 7th, minor 7th etc. but also how they share "colour tones" derived from related scales. These are all sounds you'll hear in music, and we get to know them on a deep level so we can instantly recognise them. We'll learn what creates the "light" and "dark" in music. Yes, even major can have a "dark" sound! We'll learn what creates different emotional responses in music. We'll learn how the triads we started with exist in some unexpected places and how knowing them means we can play colourfully over chords, almost without thinking. Above all, this course is designed to awaken a specific part of the musical brain. Once it's tapped into, amazing things start to happen. You start to see and hear things you didn't before. That's the real power of this course - a fruitful marriage of ear training and a spatial awareness of the neck. Chord tracks on all roots (A-G including sharps and flats), covering major, minor and 7th chords. 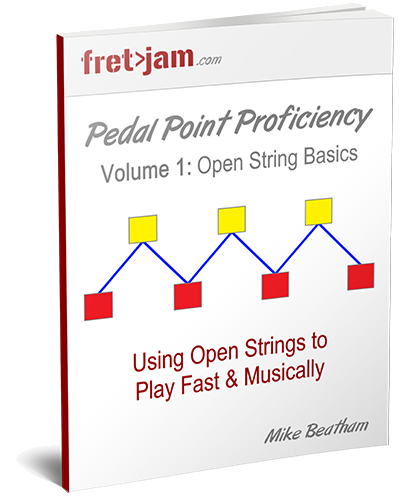 These serve two main purposes - to train your ears to the differences between the chord types and to give you a reliable backing for freely exploring the different musical flavours learned throughout the course. PDF and online course material View this course online or download/print the PDF to read away from the screen. The online version has the benefit of audio clips and being able to engage with questions/comments in each section. Most other guitar courses are made on a "publish and forget" basis, perhaps with minor tweaks every now and again. This, however, is an evolving course. I will be adding to it regularly and invite you to be a part of the ongoing conversation that makes this course the very best of its kind. If you need something adding or clarifying, I'll be sure to do so. I'll also be adding new elements over time and expanding on the existing material. Don't worry. Once you purchase the course, you'll never be asked to pay extra for any additions at any time, no matter how big or small. So you can think of your purchase of this course as a lifetime membership of something that will grow and give you years of valuable material. With just 20-30 minutes per day on this course, you can expect to see continual improvement in how you see and approach the guitar neck and a growing understanding and appreciation of music. 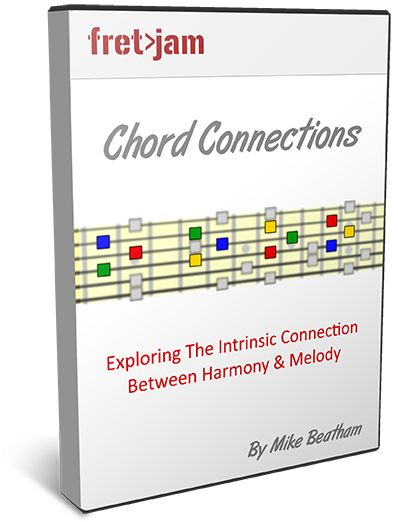 As a thank you for purchasing Chord Connections, I'll also include access to other donation based courses I offer across this site. Integrate them into your practice sessions gradually and as you see fit. By locking in your purchase now, you'll benefit from all future additions and no additional amount will be requested, no matter how big the course gets over time! And if you've been following my lessons for some time, and found them useful, think of this as a contribution to keep the free lessons on the main site coming. I really appreciate it and I hope you find tremendous value in this course! In order to be directed to the course content, after payment please hit return to merchant if it does not automatically redirect. Please also bookmark the course page so you can come back to it. I use Paypal for secure payments, but you don't need a Paypal account. When you hit "Buy Now", you will also be given the option of a one time credit card payment (look for "Pay with Debit or Credit Card"). However, if you need any assistance, feel free to contact me here or use the comments form below. I want you to be completely happy with your purchase. If for any reason this course is not right for you, please send me an email (either contact me here or use the email address provided on the course page) and I'll be happy to refund you. That's my promise to you. All I ask is that you give the course a bit of your time to make sure it's not for you. And remember, I'm always here to answer your questions, so please don't hesitate to ask if you run into problems.